Situated in the heart of South Kensington known for its gloriously unspoilt Victorian architecture, gives the visitor access to one of the most attractive areas of London. The apart-hotel is surrounded by handsome buildings, exquisite gardens and stylish boutiques, and is just a short Tube ride away from lots of other period buildings such as Westminster Abbey, Buckingham Palace, The Royal Albert Hall et al. You are also within easy walking distance of Hyde Park and Harrods department store is just a short stroll away. While you're here, be sure to take a look at Kensington Palace, a royal residence still in use by the British royal family today. South Kensington itself overflows with things to do after a long day from enjoying couture boutiques, cinemas, theatres and restaurants. High Street chains on Oxford Street and branded boutiques on Bond Street are both a short Tube ride away. 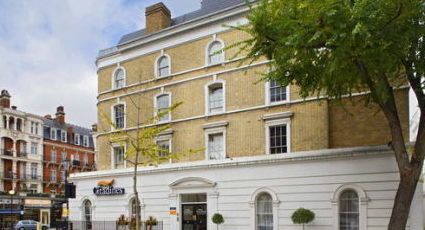 Located just a short walk away is Gloucester Road tube station providing Circle, District and Piccadilly line services.